Are you ready for ISO 10218-1? If you are an indus­tri­al robot user or integ­rat­or work­ing in North Amer­ica, you know RIA’s ven­er­able robot stand­ard, RIA R15.06. This stand­ard was a ground break­er in it’s day, advan­cing the safe use of robot­ic tech­no­logy in thou­sands of work­places in the US and Canada. CSA adop­ted R15.06 and pub­lished it, with a few changes, as CSA Z434, provid­ing near-har­mon­iz­a­tion in the US and Cana­dian mar­kets. These two stand­ards brought the first ink­lings of risk assess­ment and con­trol reli­ab­il­ity require­ments to North Amer­ic­an equip­ment design­ers and integ­rat­ors and broke new ground. Pro­gram­mable safety con­trol­lers for envel­ope lim­it­a­tion. When ISO pub­lishes ISO 10218 – 2 in 2010 the rest of the cell safety require­ments should be covered in that doc­u­ment. CSA is cur­rently review­ing CSA Z434 – they may choose to adopt ISO 10218 – 1 and (even­tu­ally) ISO 10218 – 2 once it is pub­lished, or they may choose to simply reaf­firm the exist­ing stand­ard and con­sider adopt­ing the ISO stand­ards in anoth­er 5 years. Need to know more? I presen­ted a webin­ar on this stand­ard on 19-Nov-09 through my friends at Pil­grim Soft­ware. The recor­ded webin­ar can be down­loaded here. A copy of the present­a­tion slides is also avail­able. 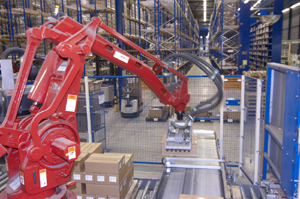 Are You Ready for the Com­ing Changes in Robot Safety Stand­ards?